South Fort Myers is a small community included within the city of Fort Myers. Located near Tamiami Trail and Daniels Parkway, South Fort Myers has several residential communities, schools, and parks. It is within close proximity to golf courses, resorts, and a sports complex. South Fort Myers has many restaurants, grocery stores, and retail shops. Residents living in South Fort Myers may be victims of accidents that result from someone else’s negligence. Automobile, slip and fall, or workplace accidents can cause injuries that can range from minor to life-altering. In some cases, the injured party may be unable to work or may need medical treatment. Many times, the victim of an accident doesn’t know what their options are. If you have been injured in an accident through no fault of your own, contact the South Fort Myers Personal Injury Lawyers at the Wolfson Law Firm. Our South Fort Myers Personal Injury lawyers can help answer your questions about paying for medical treatment, recovering lost wages, and repairing damaged property. If you or a loved one has suffered injuries or a fatality as the result of a Personal Injury accident and would like to speak to our South Fort Myers Personal Injury lawyers, contact The Wolfson Law Firm at (239) 777-9954 for a free consultation. Why Contact a Personal Injury Lawyer in Fort Myers? If you are wondering what options are available to you, contact The Wolfson Law Firm at (239) 777-9954 for a free consultation. 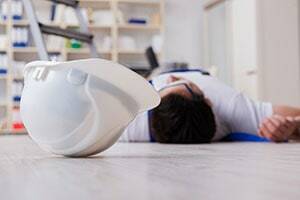 Typical accidents that occur as a result of a property owner’s negligence include slips and falls, often resulting in broken bones, head injuries, back or neck injuries, and scrapes and bruises. Personal injury can result from vehicle crashes, assault and battery, defective products, accidents in the workplace, and dog bites. Psychological injury can occur if the injured party witnessed a traumatic event or was the victim of defamation. Insurance companies will often try to settle quickly to minimize their cost. If you are unsure of your options, seeking representation early can help you receive the compensation that you deserve. Many times, injuries require continued treatment, which may mean additional transportation costs and in-home care. Without considering these factors, you may not receive adequate compensation toward your recovery. We help personal injury victims to understand their options. We help personal injury victims receive the compensation needed to recover from the injuries and restore their lives. If you or your loved one has been the victim of a Personal Injury accident, contact the South Fort Myers Personal Injury lawyers at the Wolfson Law Firm at (239) 777-9954 for help. The South Fort Myers Personal Injury attorneys at the Wolfson Law Firm can help you and your family to get on the path of recovery. We can answer your questions. We can help.